Apple production in the European Union will be just above 12m tonnes this season, down 3 per cent compared with last year’s crop, according to new forecasts released during the annual Prognosfruit conference, which this year takes place in Hamburg. The EU pear crop, meanwhile, is predicted to decrease in volume terms by 9 per cent compared with last season to around 2.2m tonnes. 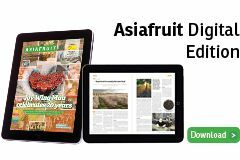 Aside for some frost affecting a number of countries in Central Europe, Europe’s assembled topfruit associations declared that, overall, favourable weather conditions during the production period had contributed to good fruit quality. According to the World Apple & Pear Association (Wapa), which organised this, the event’s 40th annual meeting, in collaboration with analyst AMI, the forecasts leave room for “careful optimism” as the 2016/17 season gets underway, with supply and demand expected to more balanced. In addition, an increase in exports to new markets during the past few years has compensated to a certain degree for the adverse effects of Russia’s on-going embargo, which will continue be felt by EU growers. “The good organisation of growers and dynamic of exporters have been beneficial in the past years to reposition the sector in new markets and to help cope with difficult seasons,” Wapa observed. “Despite the poor returns to growers of the previous season, the sector stays committed to adapt the orchards to new varieties with better taste and crunchiness wished for by consumers and therefore continue improving the overall quality of the assortment. In addition, growers, producers and exporters were said to be “highly committed” to improving the consumer experience and encouraging more consumption wherever possible. Wapa president Daniel Sauvaitre said the European apple and pear sector would continue to face challenges, both in their domestic markets as well as internationally. “The quality of the crop and the better balance between supply and demand, will hopefully lead to better returns to growers,” he commented. This year’s European forecast for apples – bringing together the 21 leading producers in the EU-28 – stands at 12m tonnes, around 3 per cent lower than last year and 1 per cent up compared with the average for the last three years. Production of Golden Delicious will be down by 7 per cent to 2.36m tonnes; Gala will also fall by 4 per cent to 1.32m tonnes; Idared will be down 6 per cent at 1.06m tonnes; and Red Delicious output will also be down, by 2 per cent to 633,000 tonnes. Volumes of other new varieties, specifically club varieties, are expected to increase by 14 per cent to 530,000 tonnes. Wapa did raise a particular point of concern this year in terms of the intense frost that affected apple production in central Europe – in particular Slovenia, Austria, and parts of Croatia and Hungary. It also noted significant shifts in production of apples in other Northern Hemisphere countries, including Canada (+24 per cent), Turkey (+16 per cent), US (+12 per cent) and Russia (+2 per cent). Volumes are set to fall in Mexico (-16 per cent) and Switzerland (-5 per cent). Belarus’ apple production will remain similar to last year’s, while in Ukraine the industry expects a 1 per cent increase. For pears, meanwhile, the total crop for the EU’s leading 19 member state producers is predicted to reach 2.2m tonnes in 2016, around 9 per cent less than last year and also 9 per cent less compared with the three-year average. Production of the most widely produced variety, Conference, is forecast to decrease by 5 per cent to 918,000 tonnes, with decreases also predicted for Abate Fetel (down 13 per cent to 290,000 tonnes) and Williams’ Bon Chrétien (down 11 per cent to 252,000 tonnes). 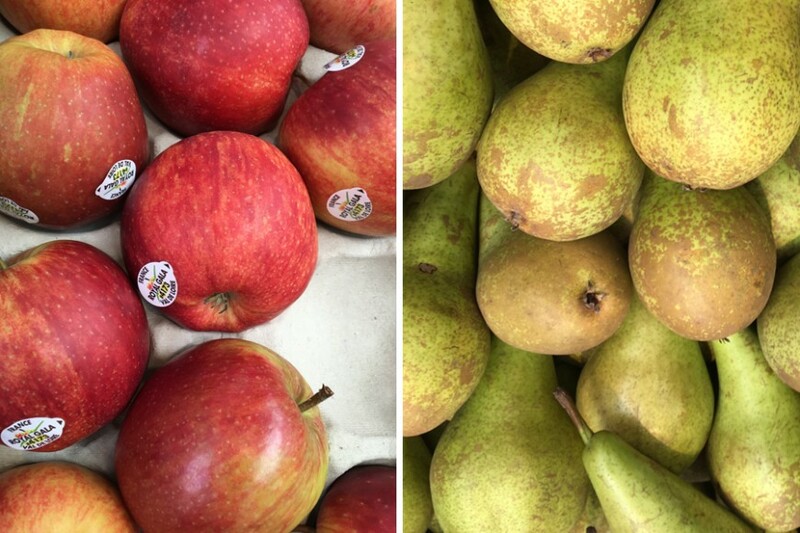 Elsewhere in the Northern Hemisphere, some country’s pear crops will grow in size compared with last year, including China (+6 per cent), Turkey (+5 per cent) and Ukraine (+2 per cent). Pear supply in the US is forecast down 3 per cent, with Switzerland due a 16 per cent fall and Belarus seeing its output down 1 per cent.